What benefits does the Miscanthus giganteus offer to planters ? If the Miscanthus giganteus is prized on all aspects, it is because this plant has undeniable assets. Of course, we do not know everything about it yet. Studies are being conducted to find new markets for this hybrid grass. So far, it is the fields of horticulture, agro-materials, bio energies or construction, among others, that have adopted the elephant grass the most. In the case of the second-generation biofuel sector, for example, it represents a very interesting alternative thanks to its productivity of 15 to 23 tons per hectare, in non-irrigated areas. In addition, the plant offers self-healing properties at cruising speed for the producers of the Miscanthus giganteus. For the first year, they will only need one or two IFT (Indicator of Frequency of phytosanitary Treatments). As a seller of Miscanthus giganteus, we strongly encourage interested farmers to turn to this herb because it requires very little to no treatment and tillage. This product offers better productivity while providing a considerable reduction in working time. It can also be used for the development of land that is unsuitable for conventional production or which is unexploited. 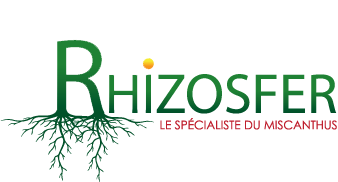 At Rhizosfer, we recognize the benefits of this grass in various sectors. For this reason, we encourage the search for new opportunities. Our goal is to expand the market so that more people can enjoy its agronomic, environmental and economic benefits. This is why we are setting up facilities for farmers wishing to launch an elephant grass plantation.